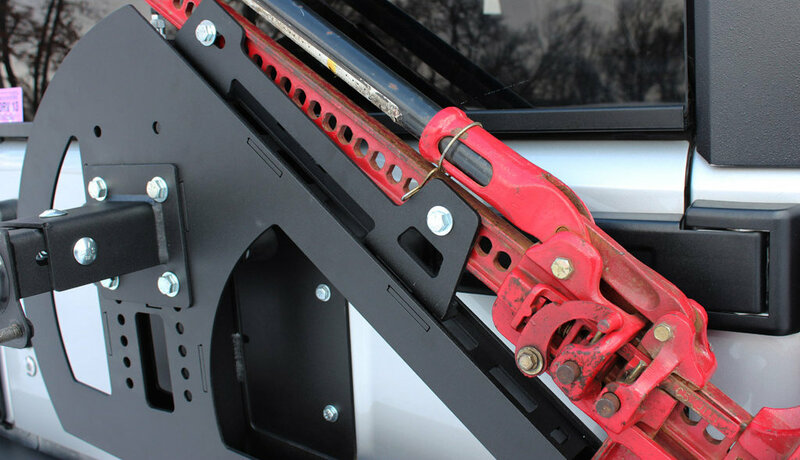 This bolt on mount will allow you to run an offroad jack on the Shield Carrier. 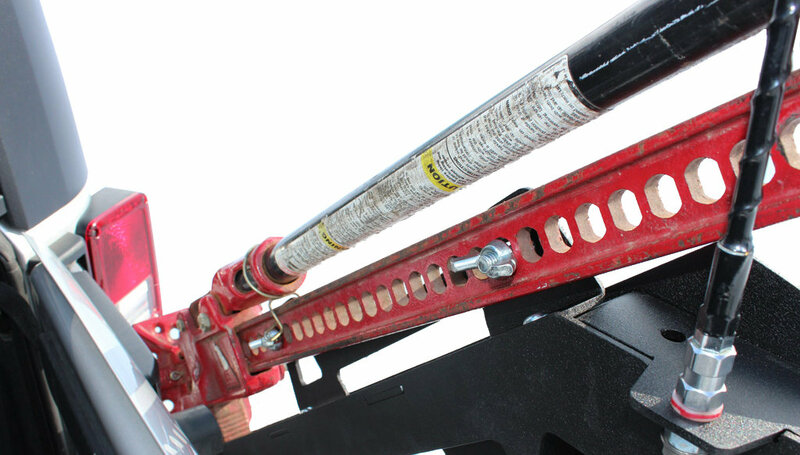 The mount will accommodate 48" Black or Red Hi-lifts and most no-name farm jacks. Only works with the right tire carrier. I tried to make it work with mine. Expensive fail. 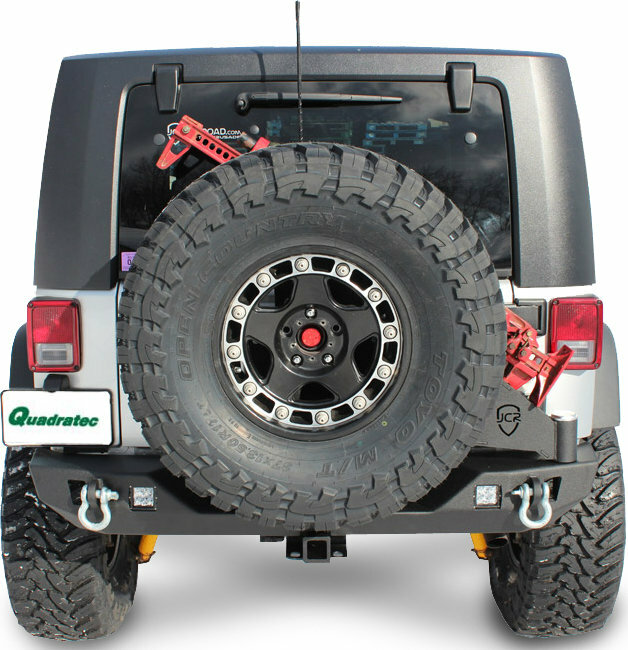 Will this fit on a JKU Rubicon Hard Rock rear bumper? No, this is meant for use with JCR rear bumpers.